Future brides, you know the drill: “Something old, something new, something borrowed, something blue”. Do you have everything ? Wait, something blue is missing ? Don’t worry, here are a few ideas how to wear this special color on your special day. 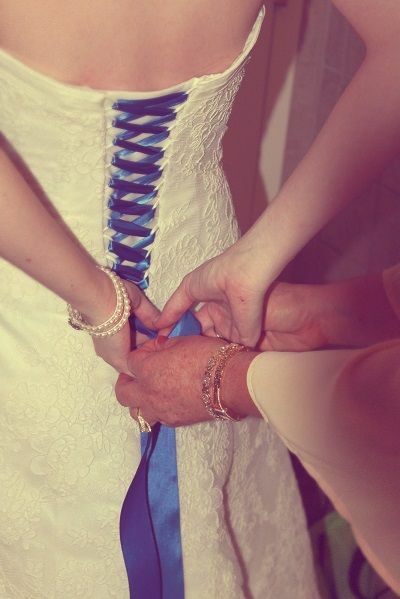 A satin blue ribbon will do the trick if your dress doesn’t have a zipper. This dark blue ribbon is the perfect contrast to a beautiful classic white wedding dress. Look how elegant it is !